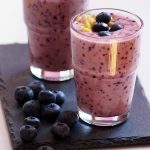 Mango Blueberry Smoothie Recipe – A beautiful, vibrant, healthy and delicious smoothie which is a feast to the taste palette and the eyes. 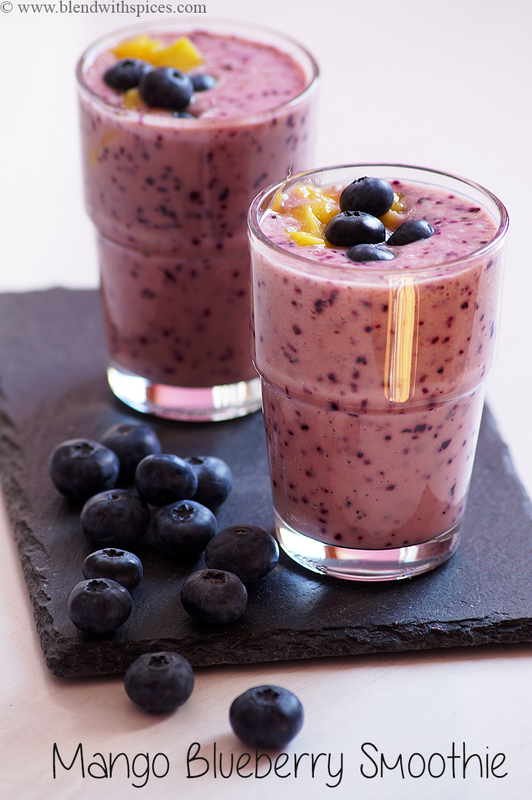 What is Mango Blueberry Smoothie made of? As the name suggests, the main ingredients are mango, blueberries, yogurt and honey. How do I make my smoothie sweeter? You can use any sweetener. But to make the smoothie healthier, I have used honey. You can also use a ripe banana as a sweetener in many smoothie recipes. How do you add flavor to a Smoothie? 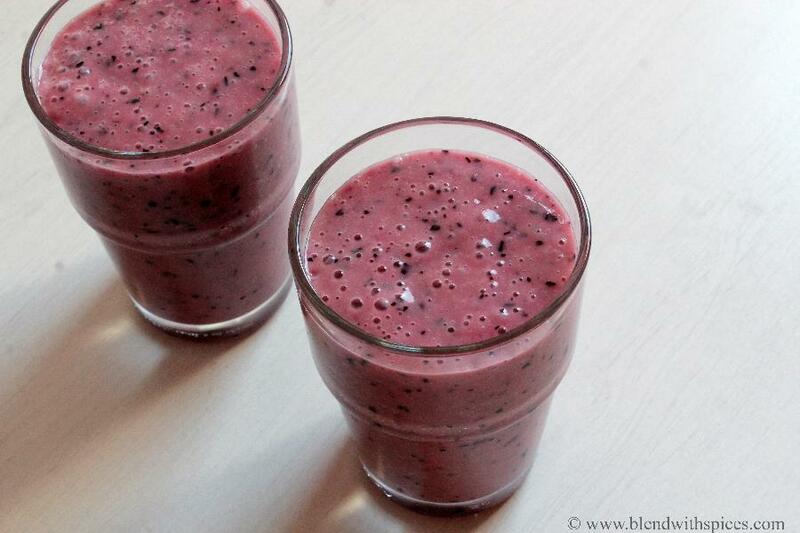 Smoothies are the best when you are open to experimenting with flavors. However, I found the combination of mangoes, blueberries and vanilla the best. Can I use frozen fruits? Absolutely, yes! 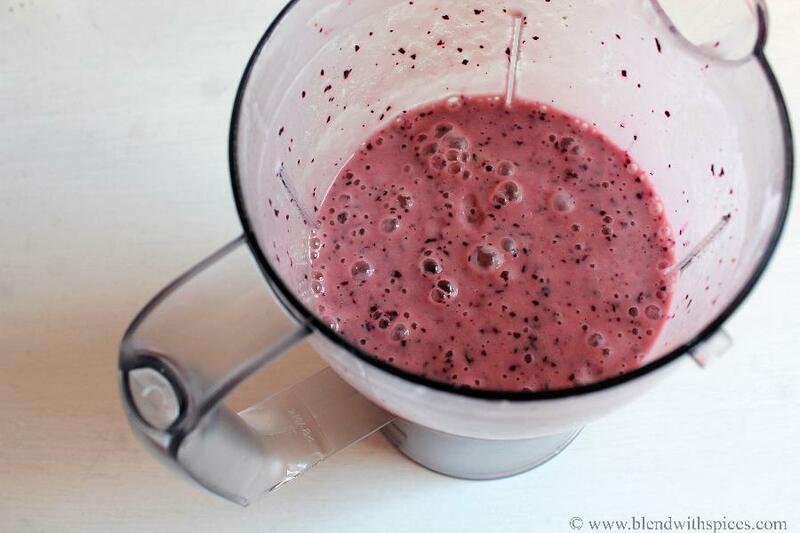 You may need to use a powerful blender if you use frozen fruits though. Also, you can skip adding ice cubes. How Can I make Vegan Blueberry Mango Smoothie? Simply replace yogurt with plant-based yogurt and honey with any other sweetener such as maple syrup. Wash, peel and chop mango and set aside. 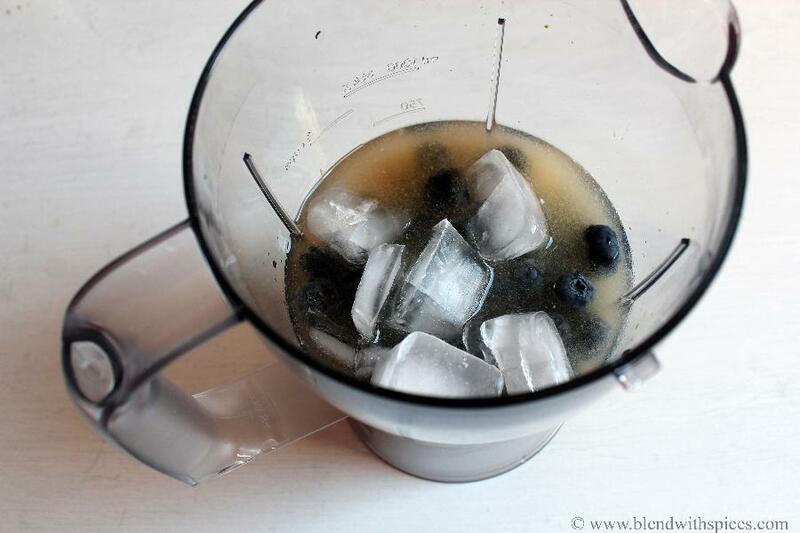 Rinse blueberries with plenty of water and set aside. 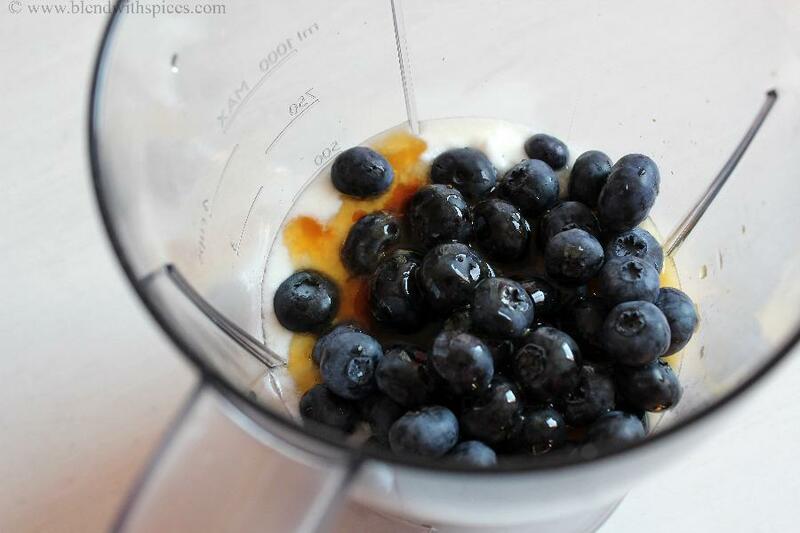 Take a mixie or blender jar, add the chopped mango, yogurt, blueberries, honey and vanilla. Add1/2 cup or required water and ice cubes. 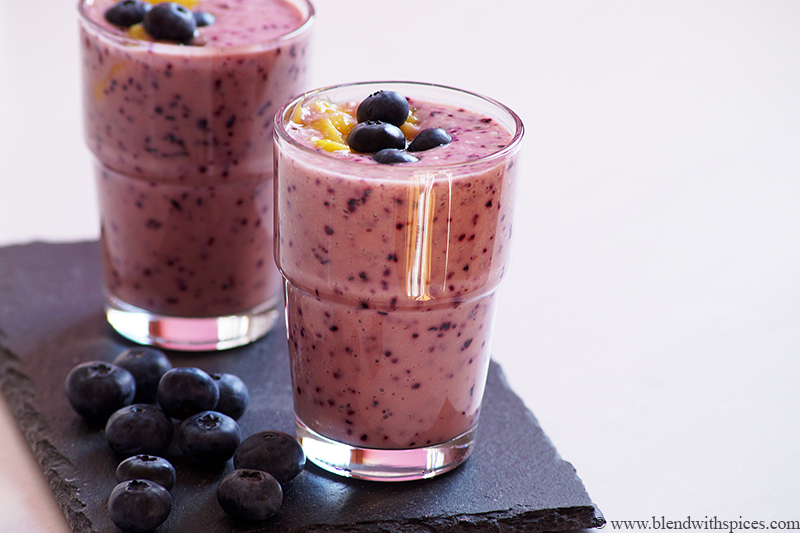 Pour the smoothie into glasses and garnish with mango chunks and blueberries.